Entrepreneur and venture capitalist, Danny Lui, came from a working class family in Hong Kong—but despite their economic situation, Danny never ran short of dreaming of a brighter tomorrow. And all his vision came to reality because of his strive to learn and know more about his passion, computers. In the late 70s he graduated from a London university with a degree in Computer Science. He then worked for a London-based firm building software applications for other companies. Danny went back to Hong Kong in 1982 and started Daw Computer Systems, Ltd. In 1987, he teamed up with China Academy of Sciences’ Institute of Computing and founded Lenovo, which in December 2004 acquired the PC Division of IBM for $1.7 billion. Now a venture capitalist, Danny invests in software development in the U.S. and Chin through his firm Authosis Ventures. 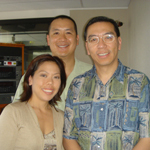 Danny Lui chats with Evan and Kari about his early beginnings as an entrepreneur and the challenges he has faced to get to where he currently stands. He shares how his company became the exclusive distributor of IBM computers in China—beating older and larger companies in the bid. Danny also talks about his passion in helping other people—this as a way of expressing his gratitude to those who have aided him during his childhood days. This interview is a good listen to entrepreneurs who want to venture out of the State and explore business opportunities in Asia. Listen now. Danny has over 20 years of experience as an entrepreneur and venture capitalist. In 1982, he founded Daw Computer Systems Ltd., a software company that developed commercial software applications for minicomputers in Hong Kong. In 1987, together with the China Academy of Sciences’ Institute of Computing, Danny co-founded Lenovo (formerly known as Legend Computer), the largest PC manufacturer in China. Seven years later, he led Lenovo’s successful IPO on the Hong Kong Stock Exchange. Today, Lenovo is a constituent member of the Hang Seng Index, and in December 2004, acquired the PC Division of IBM for $1.7 billion. In 1989, under Danny’s leadership, Lenovo launched the QDI Group, Legend’s motherboard subsidiary. By 1997, this company was the largest manufacturer of motherboards, with 21 offices worldwide. Danny left Lenovo in 1997. He became the Chair of American Pacific Technology Group Ltd., a venture capital firm investing in IC design and wireless and broadband technology companies in Hong Kong, China and Silicon Valley. In 2000, Danny founded Authosis Capital, a venture capital firm focusing on software investments in the U.S. and China.